Keep reading for information on selecting the right butterfly valve for your next project. Butterfly valves can provide many maintenance-free cycles and still accommodate "bubble tight" shut-off. Friction loss against pipe walls. Butterfly valves have flow characteristics three times better than globe valves and approximately 75% of an equivalent size gate valve. Butterfly valves can be used for on/off service and throttling/balancing. They are superior in "versatility" as compared to a gate or globe valve. Butterfly valves have a wider range of chemical resistance due to the trim options and choice of elastomeric liners. Installation dollars saved with lightweight butterfly valves as compared to heavyweight cast iron valves; i.e. a 10" butterfly may weight 55 pounds, whereas a 10" iron gate may weigh 490 pounds. This can be an important savings when it is calculated over an entire system. The heavier the system, the stronger the pipe hangers, and the more expensive they become. So, by considering the weight of a valve one can also reduce piping system costs. 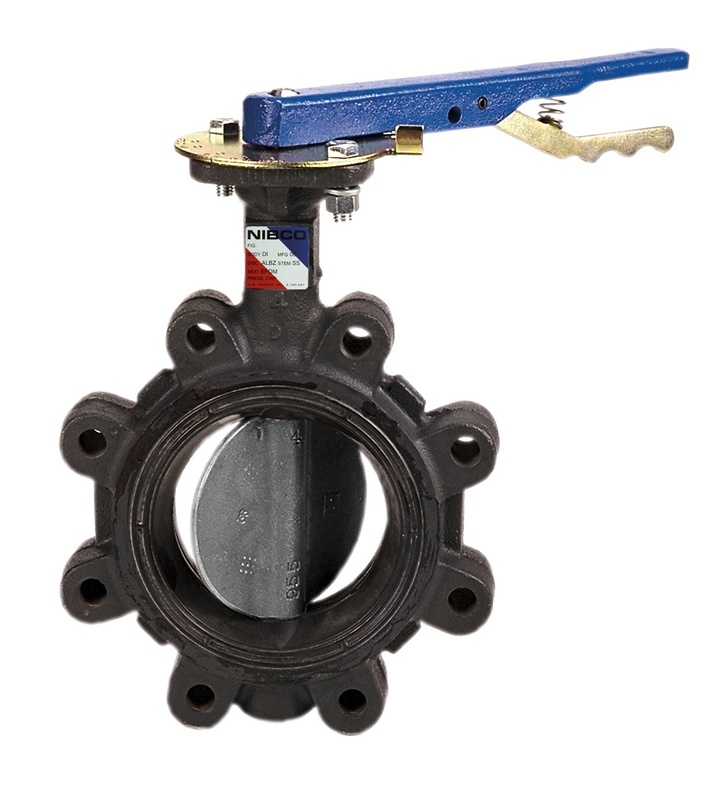 Butterfly valves take up approximately 1/6 the space of a gate valve. Every cubic foot of a building costs money. I.E. : 10" butterfly is about 21" high and a 10" iron gate is about 43" high. Gate and globe (metal to metal) seats cannot provide bubble tight shut-off. Resilient seated butterfly valves are bubble tight by design. Butterfly valves offer 1/4" turn (90 degrees) open to close. Gates and globes require multiple turns to open and close. Ease of opening or closing means that butterfly valves can employ less expensive operators. A butterfly valve is generally 40% the cost of an iron gate valve, not only in low initial costs, but in low installation costs as well. Properly installed butterfly valves are virtually self cleaning and are less susceptible to failure due to trash material in the line.